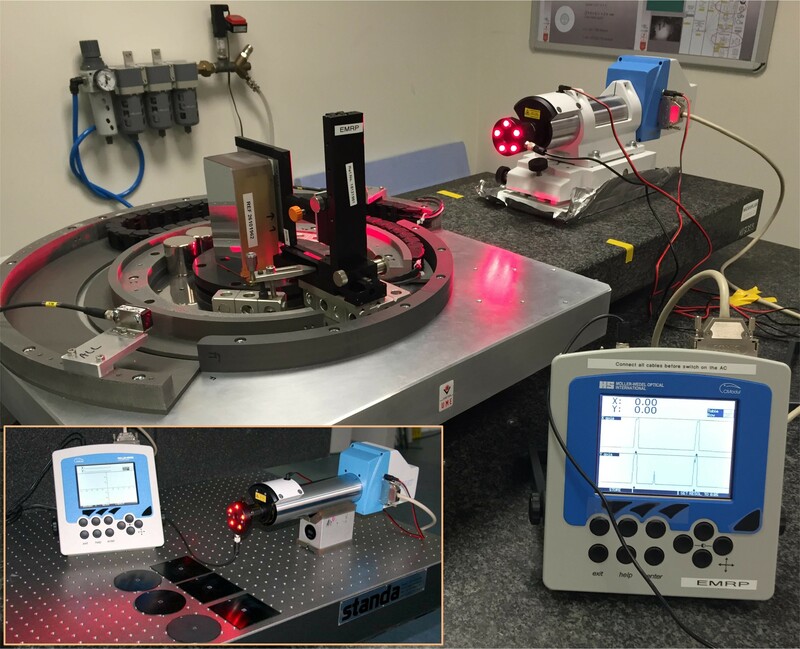 Aperture centring device tested as part of EMRP project (SIB58 Angles) now available as a commercial product. Precise angle measuring devices such as autocollimators, optical instruments for non-contact measurement of angles, are extensively used in applications where high precision is demanded, including the aerospace, optical, machine tool, semiconductor and automotive industries. EMRP project Angle Metrology (SIB58 Angles) has made significant contributions to improve their performance by investigating the influence of reflectivity and curvature of optical surfaces on the angle response and developing an aperture centring device for use with the autocollimators. The aperture centring device was created by unfunded industrial partner Möller-Wedel Optical GmbH, which concentrates on the research, development, production and sales of high-precision optical test equipment and precision optical components. The device has been tested by partners within the project and as a result has been made available as a commercial product by Möller.